When you want a cost effective roof that allows you to do more and pay less, there’s no better option than a quality flat roof installation in Beaverton from Pioneer Roofers. A local favorite, you want to know installation of your flat roof will be flawless, providing you with the structural integrity and longevity you’re looking for. At Pioneer Roofers we specialize in flat roof installation specifically designed for Northwest weather. If the gradation or run off of a flat roof is off, it can spell disaster. 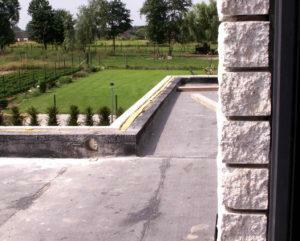 A reliable flat roof should direct water downhill, away from your foundation. With decades of experience, our highly skilled and trained roofers can design and install your perfect flat roof from the ground up. Every property is different and has unique requirements and structural differences. We can even account for use, providing you with a flat roof installation that’s strong enough support your lifestyle. We believe in our work so much that every project comes with a 15 – 25 year warranty. That’s a roof installation you can rely on. We only use the highest end materials, guaranteeing that from parts, to labor, to construction, you’re receiving the best, every step of the way. Inspection – One of the greatest benefits of a flat roof, is how easy they are to inspect for damage. Debris and damaged areas are usually clearly visible, and that makes cleaning easier as well. After a wind storm you won’t have any trouble walking onto your newly installed flat roof in Beaverton to discard branches. Costs – Because they are so easy to maintain, the cost of flat roof ownership is significantly reduced compared to the competition. Though they do require ongoing maintenance like every roof type, upkeep is only needed every several years and we can perform maintenance service that keeps your flat roof in pristine condition. Space – If you like to entertain, you won’t find a better roof type than a flat roof. From a simple patio area to a lush garden roof, a new flat roof installation in Beaverton gives you a space with a view. We’ll discuss weight loads and how to treat your new roof when entertaining guests if this interests you. Many clients love using their flat roof in the summer, especially if your home is one that provides a great view from the rooftop. For expertly executed flat roof installation in Beaverton, call (503) 281-0305 or Contact Us today. 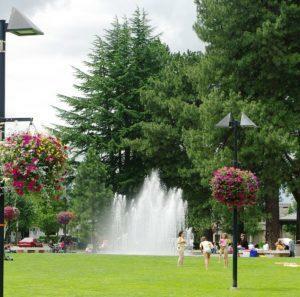 Beaverton is a fantastic little city with a great variety of activities for young and old alike. If you want to learn more about Beaverton’s illustrious history, the Beaverton Historical Society & History Center is the place to go. With wonderful stories by local historians it’s a great place to find out about this town’s roots. One of Beaverton’s hidden treasures is also one of it’s most entertaining. The Interactive Museum of Gaming and Puzzlery is the place to go for fun and games. With a massive collection that spans modern favorites to strange old vintage games you may have never heard of, they have a great sitting areas for gaming with family and friends.